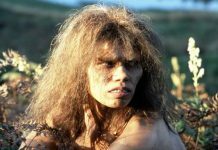 A genetic study published in the magazine “Science” reports that the Khoi-San in Southern Africa is the oldest ethnic group of modern humans with their ancestral line originating around 100,000 years ago. The Khoi-San, formerly also called “Bushmen”, are genetically unique and no other currently known population had separated so early from our common modern human ancestor. These results are very important to understand evolutionary processes that occurred more than 100,000 years ago – at a crucial for the evolution of modern humans phase. Based on the genetic differences between the populations of Southern Africa, it can be argued that modern humans probably did not originate from a single geographic location. 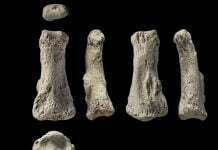 But, but, instead, it seems that the early human history was coined with mixing and splitting. 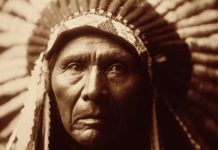 It is therefore possible that the anatomically modern humans arose from a non-homogeneous group of ancestors. Results from this research enhance our understanding on the transition between the archaic and the modern human. Indeed, the scientists discovered among others three genes that control the development of the skeleton and skull. They speculate that a selection of a few genes, including perhaps these three candidates may have been involved in the anatomic development of modern humans. Finally, based on their DNA analyses, the scientitst could explain some aspects in the history the Khoi-San ethnical group. – The “San” – tribe, which live today in northern Namibia and Angola split from the Khoi-San 25,000 to 43,000 years ago. 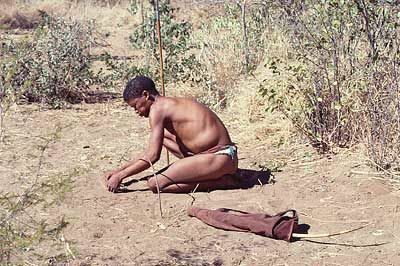 – In contrast to many other Khoi-San tribes (hunters and gatherers), the “Nama” are sedentary farmers. This might be linked to the fact that this tribe shares a small but significant gene proportion with East African nations, especially with the Maasai.